2018 has only just started and PUMA are already ready to revamp their One for the new year. They flex their design muscles with a new colourway for the FUTURE and a brand new ONE 18.1. Read more here. 2017 was a big year for PUMA, where they made the bold decision to not only discontinue the popular evoSPEED, but also the equally loved evoPOWER. It had us scared for a second, but upon seeing the two boots they have now replaced them with we were as calm as Agüero one-on-one with the keeper. The PUMA FUTURE is a crazy design with real function behind it and the PUMA One is a fast boot for anyone who enjoys premium materials. Both top of the line. With today’s launch PUMA update their ONE silo for 2018 and make a series of modifications to the original design that make it faster, better fitting and with even more feel for the ball than before. In case you haven’t gotten to know the concept behind the PUMA One boots just yet, then it is made to give players the confidence they need to play at their best. What that means is it gives players a close fit, so you feel locked into the boot and feel fast. Last year, the PUMA One only came in a version that features a very thin and soft forefoot of kangaroo leather, but with the 2018 update PUMA have also chosen to design a purely synthetic option that is for players who just feel leather is too clunky. I personally never felt the leather forefoot on the boot was too thick and the weight difference won’t have any influence on your performance, so if it was up to me I would definitely still choose the leather boot, but it’s always great when brands offer more options for players. 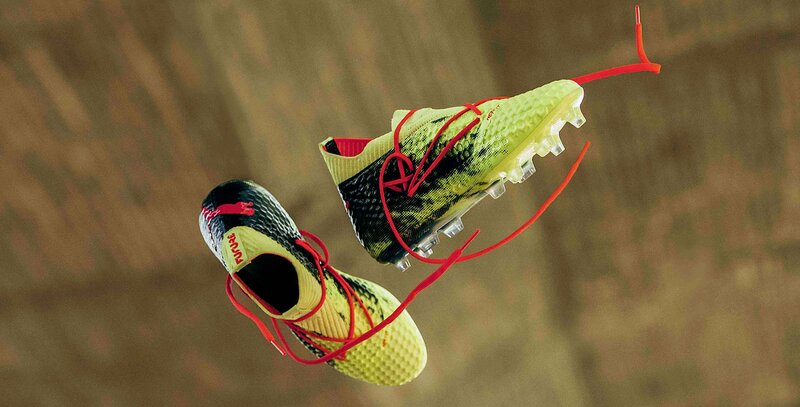 These versions of the boot, are the ones that the PUMA players will wear during the World Cup in Russia this summer. They are out early with their designs and now it will just be exciting to see what colourways they dish out for Agüero, Griezmann and the rest of the star-studded PUMA roster. Can't wait!! The PUMA One 18.1 and PUMA FUTURE are available from today and you can pick up your pair through this link. Remember to also stay tuned for our forthcoming YouTube video, where we play test the PUMA Future.